When Cary Millstein was thinking of opening Cary’s Footwear, he placed a call to SCORE, Counselors to America’s Small Business, and Larry Pelka answered the phone. As they exchanged names to meet later that week, they realized that for years Pelka has bought shoes from Millstein. Cary Millstein had run Church’s English Shoes until 2002, when Prada bought the store and closed the US market. With the lease up, the Hilton Hotel approached Millstein about taking over the business. He and his wife Pam prepared a business plan and took it to Larry Pelka. “SCORE gave me the confidence to go forward with plans for my own business,” Millstein said. “They told me I had a plan that they thought had a good chance to succeed.” Once or twice a year since, they meet to discuss current business problems. Earlier this year, Pelka and SCORE counselor Ron Kirshbaum reviewed Millstein’s advertising and marketing plans. Ever since high school, Cary Millstein has been in the shoe business. It’s what he knows and loves. 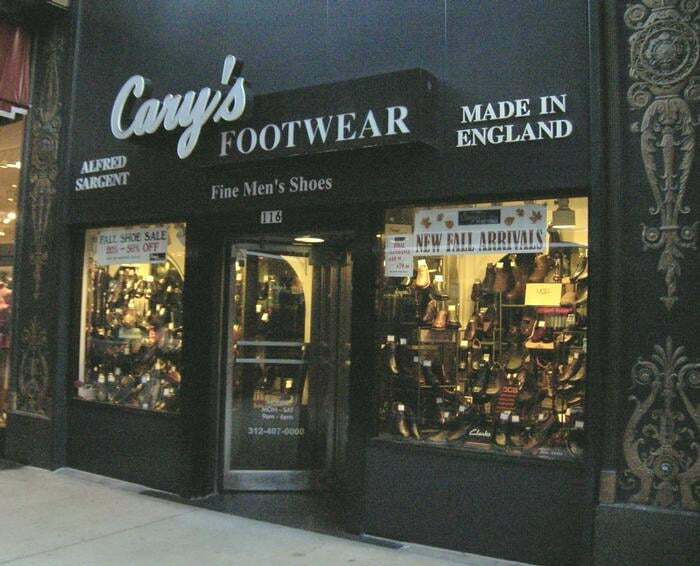 In an era of chain stores, his independent footwear store has managed to compete by providing fine English men’s shoes to Chicagoans and conventioneers.